20g Akkar Mammut Triple Barrel with 28" multichoke barrels, 14 1/4" stock. In makers case with spare chokes. In as new condition having only fired 1 box of cartridges. Hi select Walnut woodwork with 5 chokes. 20g Akkar over and under. 30" barrels, multichoke (5 chokes and key), 3" chambers and steel proof. Nice wood. 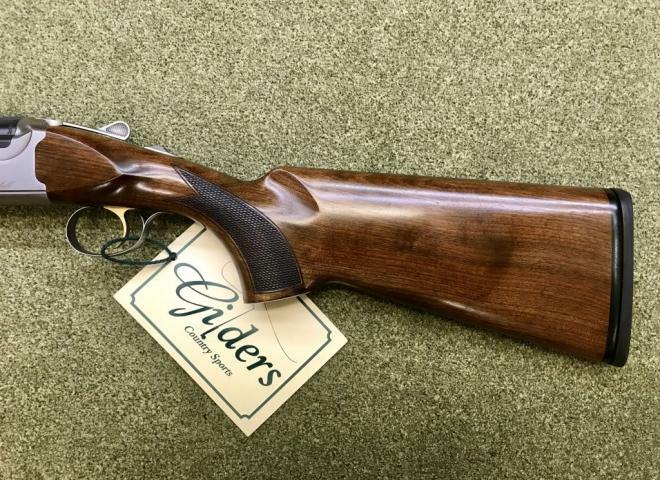 Lovely handling game gun/ sporter. A great unique 3 barrel shotgun. With selected walnut stock and silver finish action. For further inquiries on this gun please quote ref number 170. For further inquiries on this gun please quote ref number 183. For further inquiries on this gun please quote ref number 185. A really nice quality gun for the price. With good looks and handling characteristics you can't go wrong. This is a factory shortened version of this gun with 26" barrels & 13"1/8 stock length. Comes with 5 chokes & key. An Over & Under 20 gauge with 28" barrels. A quality shotgun with great reliability. This is the Silver Matt ejector model that comes with 5 interchangeable chokes and key. 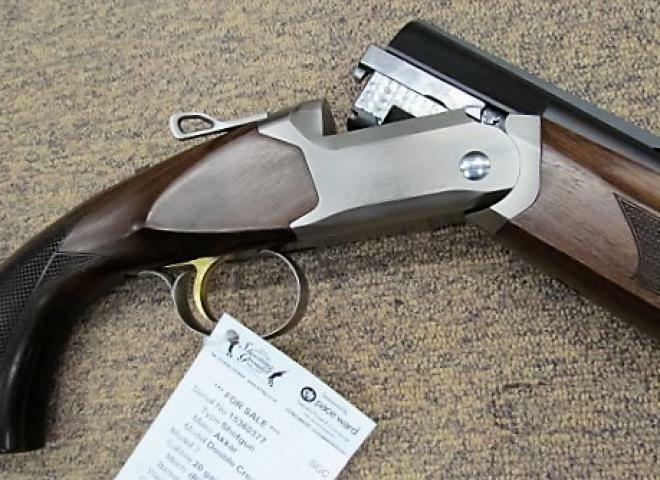 An awesome triple barrel shotgun, this gun is FAC only having a 18.5" barrel. Another main feature is the removable 1/2 stock, Mares leg style. Comes in an ABS case with 5 chokes & key. A great unique 3 barrel shotgun. With selected walnut stock and matt black finish on the metalwork. A Wetlands camo Finished triple barrel with a 30" barrel & 3" chamber. Comes with 5 chokes & motor case. A UNIQUE TRIPPLE BARRELED SHOTGUN!! A GREAT GUN TO HAVE SOME FUN WITH. THE GUN HANDLES SURPRISINGLY WELL. IT IS IN VERY GOOD CONDITION AND HAS FIRED LESS THAN 800 SHOTS. COMES WITH SPARE CHOKES. Outstanding value for money . Comes with tasteful looks, 5 extended chokes in motor case. NEW....Akkar Double Crown 20b with 30" multichoked barrels and fitted walnut stock etc. Cracking value with excellent build quality and a very nice finish for this price range of gun. Great buy! !